Son of Manessier de Vesoul, who died in 1375 or 1378. By a decree of Charles V., the Wise, he was appointed clerk and tax-gatherer for the Jews of France (Aug. 9, 1378). 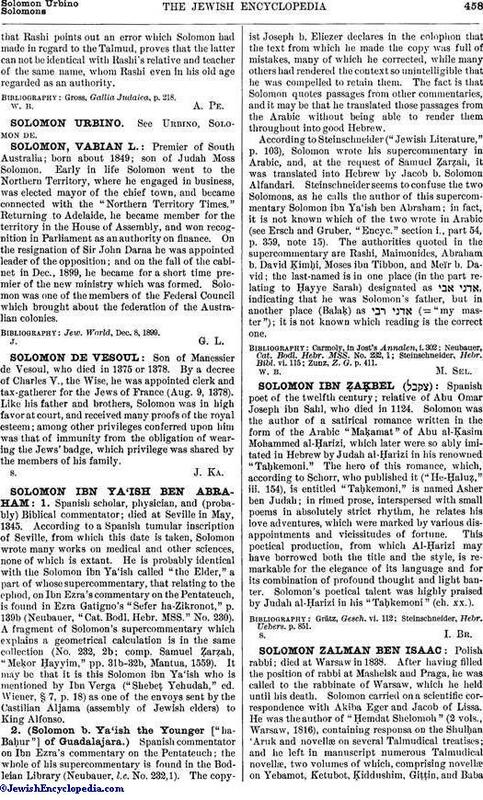 Like his father and brothers, Solomon was in high favor at court, and received many proofs of the royal esteem; among other privileges conferred upon him was that of immunity from the obligation of wearing the Jews' badge, which privilege was shared by the members of his family.